The Coalition to Save Manned Space Exploration: To the Moon in 2024! President John F. Kennedy challenged our nation in 1961 to go to the Moon "in this decade," and on July 20, 1969, Neil Armstrong took that historic giant leap. Without that deadline, we might never have made it--the program might have become bureaucratic and consumed by cost overruns, and public enthusiasm would have waned. 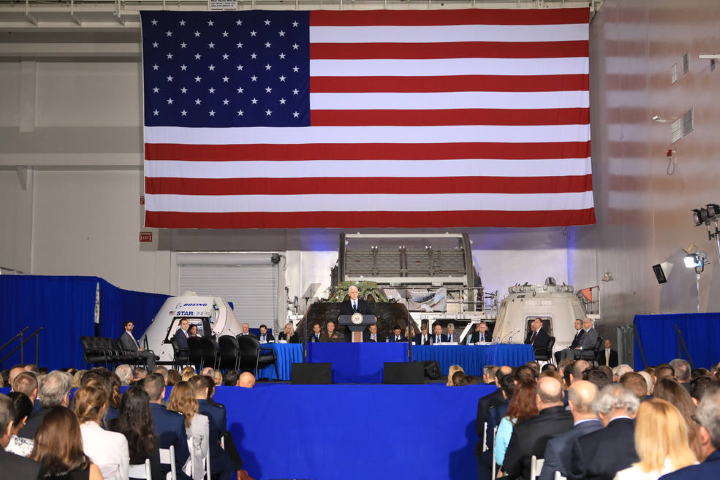 March 26, 2019 might be remembered as the date America shook off the lethargy and inertia and rededicated our great nation to return to the Moon and then journey to Mars. Vice President Mike Pence challenged our nation to return to the surface of the Moon in 2024, specifically the south pole, where water ice can sustain humanity and enable commercial mining and tourism. The specific deadline of 2024, and the Vice President's order that "the President has directed NASA and Administrator Jim Bridenstine to accomplish this goal by any means necessary," is proof that unlike the past decades, we will truly return to the moon. 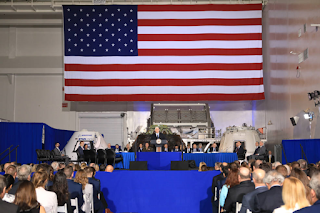 The Vice President endorsed using either the Space Launch System or commercial rockets such as from SpaceX and Blue Origin, which will spark a new space launch race to win the contracts to land Americans on the Moon. Today's meeting of the National Space Council approved these dramatic and welcome changes to our space program. Now it is up to Congress to make the dream come true. Call your members of Congress in support at 202-224-3121.